Nominations for the Golden Eagle Hall of Fame’s 10th class are being sought by the athletic department at Boulder City High School. (File) Boulder City High School is seeking nominations for its Golden Eagle Hall of Fame class of 2019. 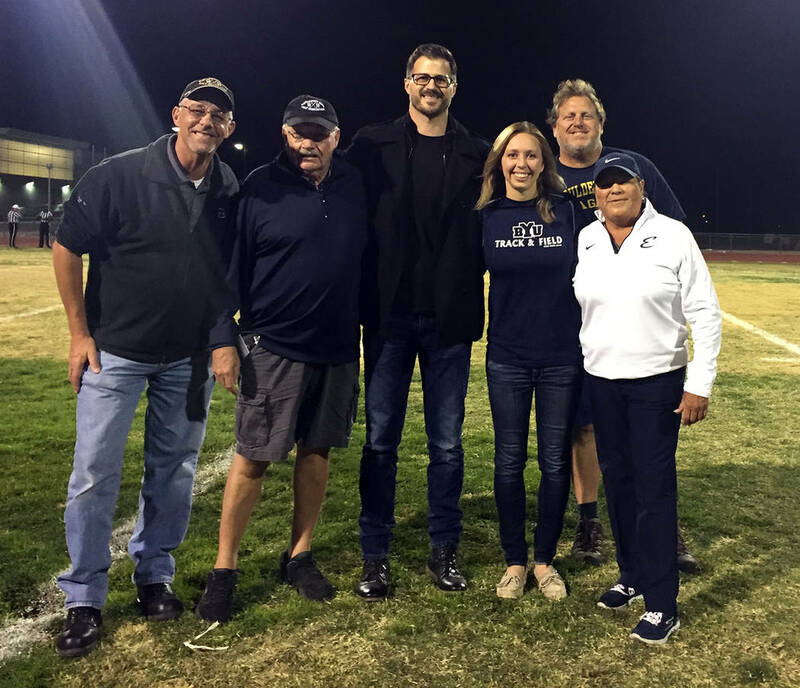 The 2017 inductees from left, Bob Stoltz, Kevin Keegan, Shane Stemmer, Katie Palmer-Mackay, Frank Baird and Regina Quintero, were recognized before a football game. The Hall of Fame recognizes those who have had a significant impact on athletics at the school. Athletes who graduated before 2009 are eligible for nomination. All coaches and contributors are eligible. Those who are not selected for the Hall of Fame the first year of their nomination will have their applications placed in a file for future consideration. They also can be renominated. Nomination forms and packets are available at Boulder City High School, 1101 Fifth St. They should include as much information as possible and are due on or before May 14. For additional information, contact the school’s athletic department at 702-799-8200, ext. 4120.